The beat is on! Let your fans in on it too when you clue them in with special advance notice for those who love to be in the know. 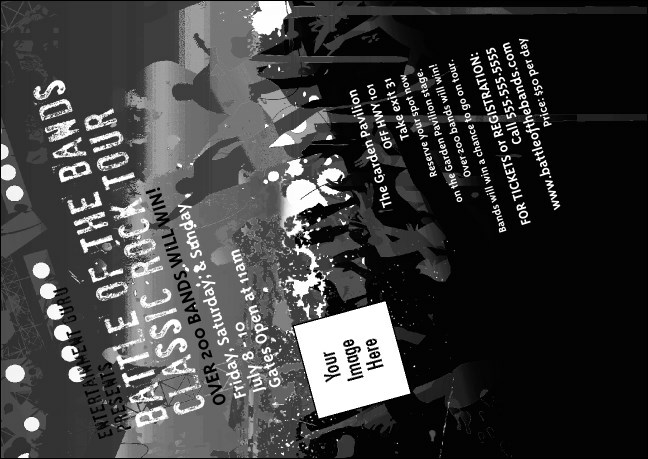 The Rock Concert BW Club Flyer keeps you, your patrons, and the music going strong from the moment you decide you're ready to begin hyping your next big gig.